In DWP Digital we design, build and deliver a range of services that provide financial support for people with health conditions or disabilities. 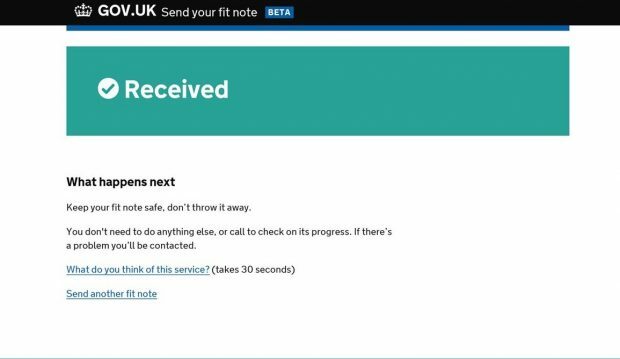 Two of those services, Tell us Your Patient is Terminally Ill and Send Your Fit Note , are currently in public beta and help health professionals and citizens provide information about health conditions digitally, securely and quickly. They have used technology to reduce the user journeys of those services from days to minutes and delivered positive outcomes for vulnerable users. But this is only the start. In this blogpost I’d like to explain about our strategy to design services that help make things easier for users across our health transformation area of work. The majority of our users are applying for or claiming Personal Independence Payment, the health element of Universal Credit or Employment Support Allowance. In most cases we write out to them for more information or to verify what they have told us by providing documentary evidence. We then work with organisations like NHS to validate the info we’re given. But often our users have more than one health condition that affects them or multiple health conditions and a disability. They need a wide range of support from income replacement to help with the increased costs of living with a health condition or disability. It’s clear that the processes users currently go through to provide information to us about their health conditions or disabilities could be improved. We know that users are often asked multiple times for the same information if they are applying for more than one type of benefit or financial support. This is stressful for users and inefficient for us. We also know there are better, more efficient ways for us to work with other government departments such as the National Health Service (NHS) to validate the information users give to us. Our users have different lives. They are not all the same. Their circumstances and needs are not ‘one size fits all’. But at the moment, they have to go through a ‘one size fits all’ journey. That’s why predictive analytics (identifying the likelihood of future outcomes based on historical data) could help us to spot patterns in customer circumstances. 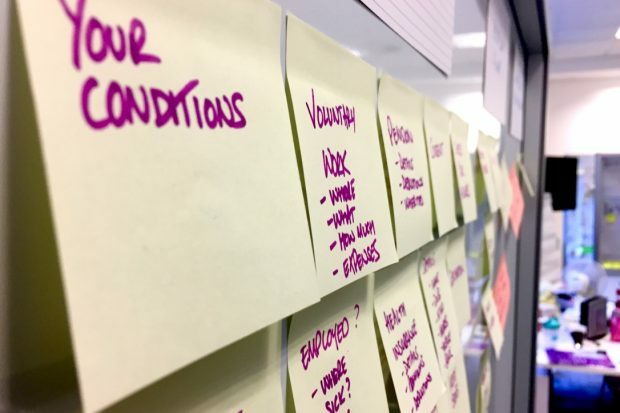 This will simplify the process and work out where we can personalise journeys for users and find out what support they need instead of making them go through an inefficient and common approach. We want to use digital services such as ‘apply for health benefits online’ to allow citizens with a health condition to apply for relevant benefits digitally, securely and quickly. Reducing the number of users who have to undergo a medical assessment as part of this process is also important. But where a user does need to have an assessment, we’re developing a digital assessment tool that people can use to choose and book their own appointments to provide more flexibility. We also want to make the process of digitally applying for Employment & Support Allowance, Personal Independence Payment and the health element of Universal Credit much more streamlined and as light-touch as possible. Improving data-sharing across departments to access health information at source is also important. This will reduce the burden on stakeholders such as GPs who we need to interact with in order to deliver our services. In DWP we focus on one aspect of the health agenda: paying the right benefit to our users who have a health condition or disability. But other departments and organisations across government are concerned with different aspects of this agenda. The NHS want to transform how they deliver patient care and they have their own internal systems and challenges to deal with. Collaborating with them more effectively will lessen the burden on partners and improve outcomes for users. It’s a complex area and will require lots of thought, creativity and partnership. But getting it right means a very real and tangible outcome that will make things better for users. Hack the North 3.0 – bring the kids!